One of the main reasons potential employees will not accept a job offer is due to being faced with a counter offer by their current employer. It has been reported that “80% of people who have accepted a counter offer still continued to leave their current place of work with six months and 93% will not be there in eighteen months’ time ”. Candidates are drawn in by higher rates of pay without truly considering the consequences of their choice. Although accepting a higher pay packet may seem more appealing or may just be an easier option, the easiest choice is not necessarily the best choice. As proven by the above statistic, once accepted the counter offer, the person in question will more likely come to regret the decision and change employers. Do counter offers encourage a happily ever after? As stated, the answer to this question is a resounding no, but just why is that? More than one third of workers in the UK are looking to move jobs in 2015 alone , and this statistic is one that is growing with each passing year. One of the most impactful reason a person may seek out a new role is as a result of feeling frustrated in their current position. Whether this is in view of feeling undervalued as a member of staff, struggling in finding ways to progress a career, or feeling as though they aren’t being paid their worth in calibration with the current market rate. Employees need to put themselves first and do what is best for their own future. After securing a new role, some people may be offered counter offers, and they don’t usually end well. When an individual is contemplating a new career opportunity, there are normally multiple motives behind the desire to move. It is likely that even if employees are offered a pay rise, this will only placate them for so long. A consequence of accepting a counter offer can result in an even greater resentment from the employee. It is important the person remembers all of the reasoning’s behind wanting to move in the first instance before it is too late in realising their errors in succumbing to the charms of a higher pay cheque. Just as the employee will have their frustrations, this can also lead to more complex issues for the employer after the acceptance of a counter offer. How do counter offers affect the employer? With people in an authoritative position admitting that they would not personally accept a counter offer, there is a variety of influencing factors that employees need to consider. Companies have admitted to feeling concerned in relation to ‘employee commitment’ . If an employer has any doubts with respect to an employee’s loyalty, it will undoubtedly cause more issues in the long run in their working relationships. 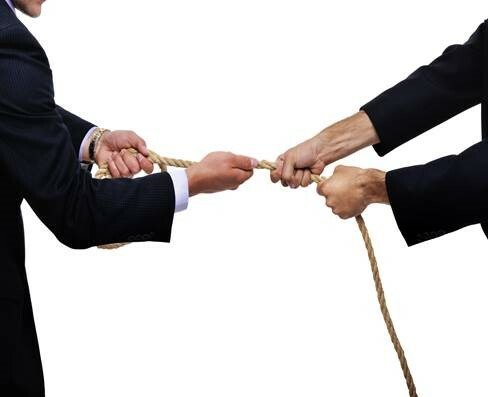 In brief, the person who has accepted the counter offer could be portrayed as a weak link within the company’s business chain. It questions whether the employee would still remain trustworthy or if they would simply seek another role in a short space of time. People follow a certain career path, whether it’s their dream role or they fell into their position by chance. There are various different reasons behind why a person stays with their company for a length of time; be it security, deserved recognition, flexibility or for the companies culture / work-life balance. The reasoning’s can differentiate between each individual & circumstance. McKinsey & Company conducted a study in the late 1990’s; ‘The War for Talent’. The war for talent refers to an increasingly competitive landscape for hiring & retaining talent in a work place. The study took place in 1997 involving 77 companies and almost 6,000 managers and executives. The study concluded that the most important corporate resource over the next 20 years will be talent: smart, sophisticated businesspeople who are technologically literate, globally astute, and operationally agile. And even as the demand for talent goes up, the supply of it will be going down. We are now almost 20 years on, with top tier talent being the most crucial key to the success of a company; employers are still failing to recognise the value an individual brings to the table until it is too late or are put in the position where a counter offer must be made. Harvard Business Review has reported that counteroffers have become much more common especially in industries where there’s talent scarcity or for highly specialised roles, usually coming with some form of flattery, promises, and even better conditions. The decision on accepting a counteroffer should be based on an individual’s situation. Both alternatives should be analysed before making the final step, looking at the long-term potential rather than the short-term benefits. Which opportunity will give you what you want in the future? If you are struggling to fill a position in your organisation, consider what we can do for you at IRG Executive Search. It is only you as an employer that can make the executive decision to offer your employees a counter offer, but it can also be beneficial to start a new with fresh talent and ideas. To find out more, please free to contact Michael Mcloughlin, Managing Director, at mike@irgexecutivesearch.com and begin the search for new talent today. This article was written by Gemma Conreen who is an Executive Research Consultant at IRG Executive Search.